Once initial scaling and root planing is completed the patient enters a periodontal maintenance phase. 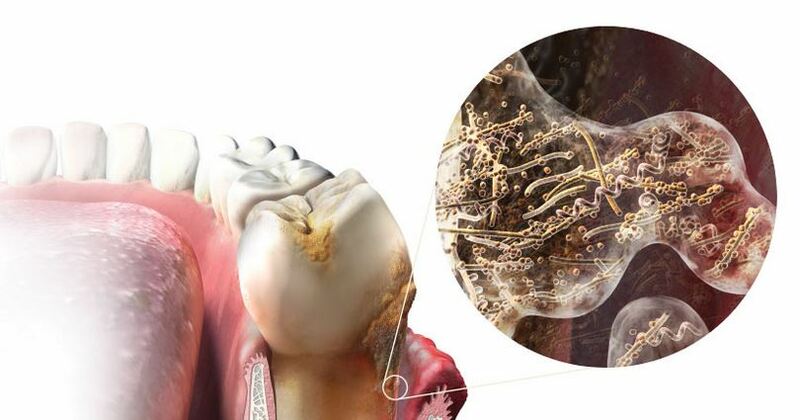 Gum disease is a chronic disease and it is very opportunistic. Did you know, it only takes twenty four hours for plaque that is not removed from your teeth to turn into calculus (tartar)! You will be placed on frequent maintenance cleanings (periodontal cleanings) every three months. At these appointments, the pocket depths will be carefully evaluated to ensure that they are healthy. Once we establish a consistent health state of your gum tissue, then your cleanings can be scheduled every six months. Examination of x-rays (radiographs): Essential for detection of decay, tumors, cysts, and bone loss. Examination of existing restorations: Dr. Nugent will evaluate the status of current fillings, crowns, etc. Early repairs of problems lead to simple and easier fixes. Inspect for tooth decay: Dr. Nugent will check all tooth surfaces for decay. Oral cancer screening: Your hygientist will do two different oral cancer screenings. Teeth polishing: Remove stain, tartar and plaque that has accumulated since your last cleaning. Good oral hygiene practices and periodontal cleanings are essential in maintaining dental health and keeping your periodontal disease under control!